Exercises in gym or any fitness subject or any sport, besides the beauty elements, then the main goal still is to let your health be improved better. However, if only interested in the purpose of exercise, it doesn’t require you to do gym exercises. Instead, you only need to drink a glass of red wine every day. Because recently, experts in the University of Alberta (Canada) has discovered an unexpected truth: the active ingredient resveratrol in red wine side effects to health exactly as when you exercise. 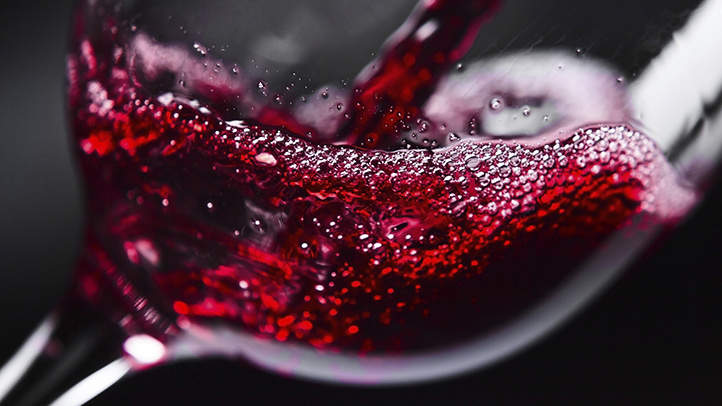 According to Jason Dyck – the head of research, the effects of red wine to health was recognized long ago. Previous studies have previously shown that drinking one glass of wine per day can reduce the risk of dementia, improve cardiovascular function, anti-aging, even reduce the risk of cancer. Today, wine also has the advantages not less than practice gym. Dyck said, resveratrol may improve physical activity, increase cardiovascular functions and strengthen muscles – the effect appears every time we exercise gym. According to Dyck, the findings are a great solution for those patients lose motor skills, can not stage any more. “I think resveratrol may help patients who lose mobility. Resveratrol can simulate the effects of these exercises gym, thereby improving their health situation ” – Dyck shared. However, this does not mean you must choose alcohol instead. First, the only new red wine havs effects, and the correct dose for each person who is just 1-2 glasses of wine per day. If you use more, red wine may be counter productive, causing muscle atrophy, interrupt the recovery process of the body. And the second, the researches about resveratrol are only done on mice. Though the process and metabolism of human are also near similar the mice, but it is also not sure at all. But anyway, according to Dyck, drink a glass of wine each day also no harm. If you can not drink alcohol, let’s try peanut butter, blueberry, red grape or black chocolate,… They are all the food which is rich in resveratrol.